Y’all, if I had a nickel for every time I see something like the following phrase, “I wish I could sew (pants, jeans, shirt, etc) but I’m afraid I’ll mess it up!” or “Please suggest a pattern with no zippers or buttonholes” I would be a rich woman and we’d all go on a sewing cruise together. But since no one’s handing over nickels, instead I want to address those statements – and tell you why you should sew BADLY. Like every chance you get. 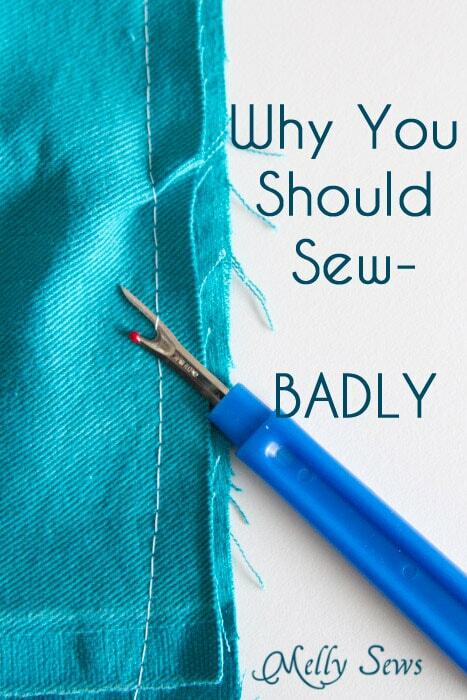 You should sew badly because making mistakes is the best way to learn. The human brain is wired to learn from mistakes – which means that the more mistakes you make, the faster you’ll learn and grow your expertise, right? In my experience teaching high school students to sew as I did for years, the students who learned the fastest made a lot of mistakes. The key was that they 1) weren’t afraid of the “cost” of a mistake, and 2) they didn’t make the same mistake twice. 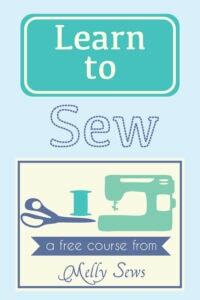 So how can you get to that place and supercharge your sewing skills? The first thing is to minimize the cost of your mistakes. 1) Fabric. We’ve all been there…you picked the perfect pattern and the most gorgeous (and expensive) fabric, and now you’re paralyzed at the thought of messing up the perfect creation in your head. How do you get unstuck? Well, with my high school students a lot of the fear was gone because they didn’t buy the fabric, the school did. Even so, there was a “cost” to messing up if they ruined fabric we couldn’t replace for a costume. So it was my job as a teacher to make sure that before I handed over the irreplaceable fabric that both I and they were confident they could handle it. How did I do that? I had them sew sturdy, cheaper fabric first. I had a specific project (costume bags) I would give first time sewists, and because there were a lot of them every year, I would stockpile cheap quilting cotton whenever I could for these. Even in my studio I buy a bolt or two of cheap fabric every year, for the express purpose of making muslins and MISTAKES. Head to the thrift store. Buy old clothes, curtains or bedding. After all, if it was good enough for Scarlett O’Hara to wear, then surely curtains are good enough for you to learn on? 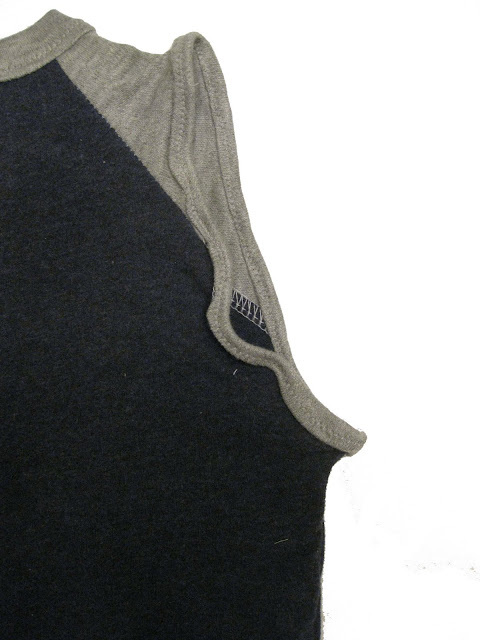 You can also salvage zippers and buttons to practice with. Check garage sales, estate sales, and Craigslist or other online classifieds. Save your fabric store coupons and stock up on clearance fabric when you can. 2) Time The other thing we are often afraid of wasting besides money is time. Again, with my students this wasn’t an big issue – I think they honestly took as long as they could in class sometimes to avoid getting another project! But if you’re learning to sew, or you have a specific project in mind, you may be afraid of wasting time on mistakes. Again, I’d say the faster you get the mistakes out of the way, the faster the project will go overall. If it’s your first time with a certain technique, take the time to practice with your cheap fabric. In the long run, taking this time will make you faster. 3) Embarrassment Sometimes, especially as adults, we don’t want to admit to not knowing something. This requires some mental reframing on your part if you fall into this category. Instead of thinking of mistakes as failures, you need to approach them as learning opportunities. My friend Alida wrote a great post about how to get to acceptance of a DIY disaster. And personally, I think it’s more embarrassing to be the type of person that never risks failure than the type of person who never fails. Besides, with sewing, you don’t have to tell anyone if you make a mistake. Most of the non sewists in the world probably wouldn’t notice anyway. Plus, there’s always the seam ripper. I hope this article gives you pause for thought – and frees you to make mistakes! Great article. I remember a dress I made in high school. Kind of a shift with a peter pan collar but very cool and stylish. It was almost done. Zipper in, facings in. Collar on. I was trimming the seam of the collar and snipped a hole in the dress. I was devastated. But my mom pointed out that the hole was under the collar. She helped me patch it. I finished the dress and no one was the wiser. It was one of my favorite makes. Now, 40+ years later, I NEVER trim seams without thinking about that error. And I’ve never made it again. I have a pile of mistakes in the corner of my sewing room. I just keep telling myself I’m going to fix them… but… I haven’t yet. I rarely make the same mistake twice. Well, except for attaching the bodice of dress to the skirt. It’s like a given that I’m going to do one or the other inside out every single time. It doesn’t even really make me mad anymore. I just assume I’m going to do it wrong once (at least; yes, I have taken one apart only to sew the other part inside out next time around). I do not know what is wrong with my brain, but I can’t seem to get it right! I moved to Japan 8 months ago, and can now buy fabric for less than $1 a yard, and this has made me so much more willing to try new techniques, since I won’t be “wasting” expensive fabric! I have learned so much and am a much more confident sewist now! The thing I always tell myself is “it isn’t a project until I get the seam ripper out”. I rip out at least one seam on every single item I sew. Sometimes it is super annoying. Sometimes it is the end of the project and I tell myself “Yay, I didn’t make any mistakes” and the very next step I screw up. A lot of it has to do with distraction, and trying to sew with kids or late at night when I should probably be sleeping. But it all works out in the end. Such an awesome article. Thank you..
Love this. Very well said. And so perfect. Everyone makes mistakes. But it is how you choose to react to that mistake that is the game changer. You can be upset, or learn from it. Thanks for sharing your thoughts and tips! When I try a new pattern or technique I usually do a wearable muslin from my stash of $3 or less a yard cotton. It lets me get the kinks out. If it works, great (it usually is fine), if not, no great loss. Last time I miss traced the pattern by a few inches. Making so many mistakes as a beginner is very frustrating. I have only made one or two things I can wear with pride. I seem to screw everything up in one way or another. In fact, I wonder how long it will take before i can actually sew and not want to throw out the finished product. I have figured out, after ruining expensive fabric, to make muslins, to buy inexpensive fabric for my trial runs, and to not sweat the mistakes. I love to sew. I just wish I would have more success. I just keep reminding myself that I used to be a horrible cook and because of practice, we now eat really. There is hope for me yet! When my now 27 and 26 year old daughters were small I made all of their clothes, many times using sheets bought at the thrift store for muslins. We were on an extremely tight budget so I was afraid of messing up the pretty and expensive fabric. After I finished making the matching yellow with white polka dots (sheet) pin-tucked dresses (muslins) for both of them, they didn’t want the ones I was going to make . They wanted to keep the test models! I was stunned! And both of the girls wore the dresses until they could no longer fit into them! Great post–I totally agree. I’d just add to beginning seamstresses: be willing to try anything! I learned to sew in high school drama making crazy Elizabethan and Victorian costumes. I’m not afraid of any pattern now–they all seem tame next to muttonchop sleeves with ruffles. I have made many mistakes over the years. This biggest mistake I remember was a dress I was making for the county fair. It was of course the night before and I still had to put the sleeves on. I pinned it on, my mom double checked it for me. I sewed it on. Then turned the dress right side out and the sleeve was upside-down! I was devastated. My mom helped me get through the issue. I’ve yet sewn a sleeve on upside-down again. Debbe, keep at it. It was years before I wore anything out in public because I didn’t think it looked good enough. I finally learned that most people don’t notice what I think are huge glaring problems. Enjoy the learning process. In a recent sewing class, I intentionally sewed crooked and ran off the seam edge just to show the students that the world will not end, life will go on, the earth will continue to spin and they will go on to learn to sew well. Great article! I totally agree with mistakes. I really enjoyed this article. I learned a lot of things that I will use as I embark on clothes sewing. Very good advice! I finely wised up and started makng muslins because i got tired of making mistakes on my good fabric. I should have know better, thats what i was taught but i have to learn on my own sometimes! This is very comprehensive! I’m a big fan of muslins. Sewing is so much muscle memory, and the more fabric that gets under your hands, provided that you’re paying attention is more opportunity to learn new things. And failure is part of the creative process. I’ve always said that your seam ripper is your least judgmental friend. As my Grandmother used to say, first you sew it then you learn to pull it out. I tell my sewing students basically what you have talked about here. An hour of sewing is one hour under your belt of experience…..which can not be replaced by anything else but that experience. Such a great read! Thank you for the reminder! Thank you. I love this post as I am a perfectionist and that often prevents me from sewing anything! I’ve been sewing since I was 8 Years old. Learned in bible school… I’m now 61 and I’ve sewn just about anything you can imagine. And I still have trouble with bodice linings!
. Thank you for the encouragement. A million thanks for writing this! I needed to read this for my many creative endeavors! Cheers!! Why are people allowing the non word “sewist” to become a word? Why invent a word when the language already provides one? A female that sews is a seamstress and a male that sews is a seamer. Throughout the history of language, people invent words when current words don’t quite meet their needs. 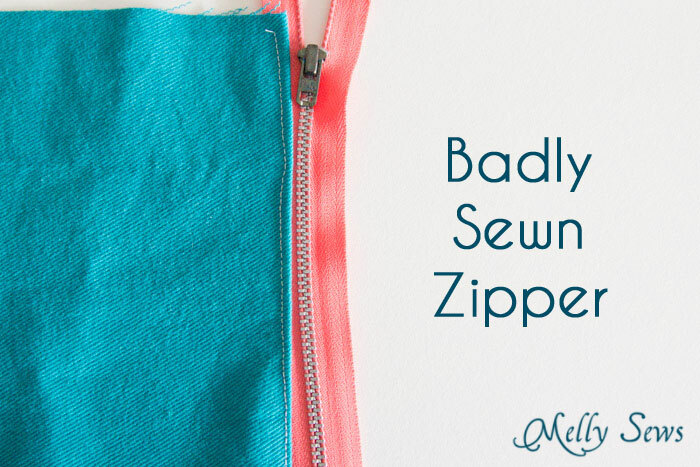 In this case, a large portion of the sewing community (including me) feel the need for a gender neutral term that describes those of us who sew and is not easily mistaken for the word that helps transport waster (sewer). I just finished a project that was a ‘fun fur’ nightmare. Not fun at all. The extra thick pile swallowed the stitches and broke needles. I ended up sewing the white shrug with brown thread, and still couldn’t find the stitches half the time. It was too big, the bust darts were in the wrong place, the back darts weren’t deep enough. Too much ripping. Finally accidently ripped the entire top seam allowance of the sleeve, trying to rip out a seam. Ugh! A couple of panic attacks and another 1/2 yard later of $25 per yard fabric, it was finished. Perfect! You know why I’ll never make those mistakes again, because I will never make a custom fun fur jacket again, lol. I will make a fun fur jacket, and if someone wants it they can buy it. I will not alter it. lol. I hate to rip! I’ve been sewing since middle school, and was taught by my mother who would sew and rip, sew and rip. I learned to double and triple check before I sewed. It has held me in good stead until January 2015, and fun fur! My favorite person to sew for is my three year old daughter. As long as its sparkly and pink, she could care less how the zipper looks! I wish I’d read this article 35 years ago! My mother was and still is a wonderful seamstress. 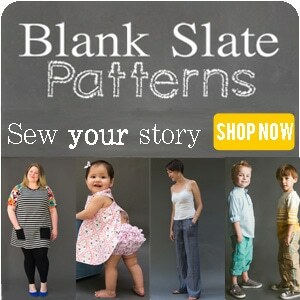 As a teen, she designed her own clothing and made her own patterns. She made virtually all my clothing until I was 12 and I loved wearing her beautiful creations. When I learned to sew in home economics as a teenager, it did not come easy for me. I didn’t fully appreciate her talent until then. I made plenty of mistakes. We were allowed to sew our projects at home and when I ran into a problem or made a mistake, Mom would say “Here, let me do it.” That’s the closest to abuse I ever experienced. I struggled for years to become a successful and happy seamstress, and mistakes were my teachers. For years I sewed garments, gifts and home decor and decided that quilting was the final frontier. We are blessed to have an extraordinary teacher in my guild, and our learning project was first sewed on the cheapest fabric we could find. Mine was $.50/yd. Autumn themed fabrics on clearance. I still sweated bullets on those practice blocks! Quilters jokingly refer to ripping as unsewing, and there is always plenty in every project. I was like everyone else, I loathed ripping. Usually my mistakes were made when I was distracted, tired or under pressure, and I’ve learned to take a deep breath, remind myself that it happens to everybody, take my ripping to the sofa and relax while doing it instead of being really upset with myself for making such stupid mistakes. And the darnedest thing later happened. Mom saw those autumn colored blocks, and asked me to make a quilted tabletop for her! It turned out beautifully and now resides on her dining room table in the NC Smoky Mountains, not without more than its share of unsewing! My favourite name for unpicking is ‘frog stitch’. Sounds like rip it, rip, rip it! Great article and great advice. I have been sewing for nearly 50 years now, and have made many mistakes, and have always kept on sewing and learning and relearning. I took a Martha Pullen Beginning Sewing Instructor Class 12 years ago, (with the idea that I would teach anyone who wanted to learn). I’ve had several opportunities to teach young (6 yrs old) and older ladies. I, too, would always have cheap fabric, scraps, and notions for them to practice with, and simple projects to complete within 2 to 3 hours. I have taught in a quilt shop, a church social hall, and privately. I took this class just to teach, and I only teach anyone who wants to learn, whether they offer any money or not. I also teach how to fit or resew bought clothing. I believe that if it fits well, it will be loved and worn. I learned this motto early on and pass it on as I teach, ” A mistake is proof that you tried,” and you can only learn and get better when you try!! Makes me feel l will slowly get it right some day. oh thank you so much. This has been helpful.